As you cruise along one of Europe’s most romantic rivers, you leave behind busy western life and sail into a world that’s filled with authentic architecture and steeped in tradition. Our 8-day Nuremberg to Budapest cruise takes you on a journey of discovery into ‘Old Europe’, uncovering ancient Abbeys, beautiful palaces, and historic landmarks left in the wake of WWII. An invitation to a homehosted afternoon tea provides a truly authentic insight into Slovakian life and the chance to try traditional fare, while vibrant cities such as Vienna and Budapest fill your European exploration with trips to iconic sights and bustling city streets. No reviews yet for this trip. Browse other reviews below for Emerald Waterways. We just completed a 15 day Amsterdam to Budapest cruise and it was really great. Our ship was spotless...with all the chrome and glass you can only imagine the amount of polishing to keep fingerprint free. Also, the baked Alaska was as good as any 5 star ocean cruise (probably as good as 6 star but I've never sailed on a 6 star ship). I highly recommend Emerald if you are thinking about a river cruise. By the way we were docked directly across from the Parliament building and the views at night were spectacular. Absolutely outstanding and fun crew on the Sun from Amsterdam to Budapest in mid-october! Very clean and comfortable ship and rooms. Cruise Director Patricia did a great job keeping us all informed of activities and details. Hotel Director Robert obviously loves his job as well as his staff, since they all always made us feel welcome. All the staff did a great job. We sailed on the Emerald Dawn from Nuremberg to Budapest, beginning on Sept 24 and ending on Oct 1. What an amazing vacation! We enjoyed first class accommodations, gourmet meals, fantastic service, interesting excursions and delightful cruising. I can't really find a fault and would highly recommend Emerald to anyone looking for a relaxing, enjoyable way to visit Central Europe. The best River Boat in Europe. I love the first one, now booked in 2017. I have been on five river boats, Emerald Waterways is the best. The cabins are the best , the food is excellent, the ports are great. It is a beautiful ship.Take your friends and have a great time you will want to go on more cruises with Emerald Waterways. We are presently on one of the cruise from Budapest to Amsterdam. Everything is very good. Great value for the cost. The crew is outstanding. We enjoyed the Rhein River cruise very much. The food and service on the Emerald river ship was exceptional. We will go on Emerald again. Welcome to Nuremberg. Transfer to your river cruise ship and be welcomed by your Captain and crew. The city is situated along the Main–Danube canal, an engineering masterpiece linking the rivers of Germany with the mighty Danube which flows from the Alps to the Black Sea. Some of the locks are as high as 25 metres, with only inches on each side, the navigation of them showcases the Captain's skill. This evening enjoy your first dinner on board. This morning takes you through the final stretch of the fascinating Main–Danube Canal to Kelheim. Continue cruising along the Danube River to Regensburg, one of Germany’s best preserved medieval cities. On our guided walking tour you’ll have the chance to stroll across one of the oldest bridges crossing the Danube and see the city’s architectural highlights including the Old Town Hall. EmeraldPLUS: Tonight, enjoy a Bavarian Band on board. Situated within Austria’s wine–growing region, Melk is home to an imposing 900–year old Benedictine Abbey which features Austria’s finest Italian baroque architecture, with its ornate gold leaf walls, 640ft Imperial Corridor and fresco ceilings. Be guided through the artistic corridors by one of the local students for an insight into Abbey life. Later the ship sails through the spectacular Wachau Valley lined with medieval castles, and on to Dürnstein, one of the most enchanting villages of the Wachau wine region. This is the site of the castle where Richard the Lionheart was imprisoned after returning from the crusades in the 12th century. Stroll along the cobbled streets or perhaps join Emerald Active for a guided biking tour along the Danube River. Welcome to Vienna, the “City of Waltzes”. Today we explore Austria’s capital beginning with a drive along the Ringstrasse, where we will see Vienna’s world famous Opera House, Burgtheatre, Spanish Riding School, Town Hall and the Hofburg Imperial Palace. On foot your guide will take you through the grounds of the palace which once was home to over 1000 nobles. Pass the training stable of the Spanish Riding School into the centre of Vienna where St Stephen's Cathedral stands proud in the main square. The rest of the day is at leisure to explore Vienna, perhaps try some chocolate cake and coffee that the city is famous for. Set on the crossroads of ancient trade routes in the heart of Europe, Bratislava the capital of Slovakia, embodies various cultures – primarily Celtic, Roman and Slavic. Enjoy a sightseeing tour including the enchanting Old City with its Town Hall, Mirbach Palace and the Gothic Cathedral of St Martin. EmeraldPLUS: The highlight will be a home hosted afternoon tea with a local Slovakian family. This evening the Captain will be delighted to welcome you to the Captain’s Gala Dinner. Budapest is Eastern Europe’s liveliest and most cosmopolitan city. Enjoy a guided tour of the city sights including the Royal Palace of Buda, hilltop castle complex with Fisherman’s Bastion and the Matthias Church, and the Chain Bridge linking Buda and Pest. Later, there is free time to visit the city markets or the famous thermal baths. 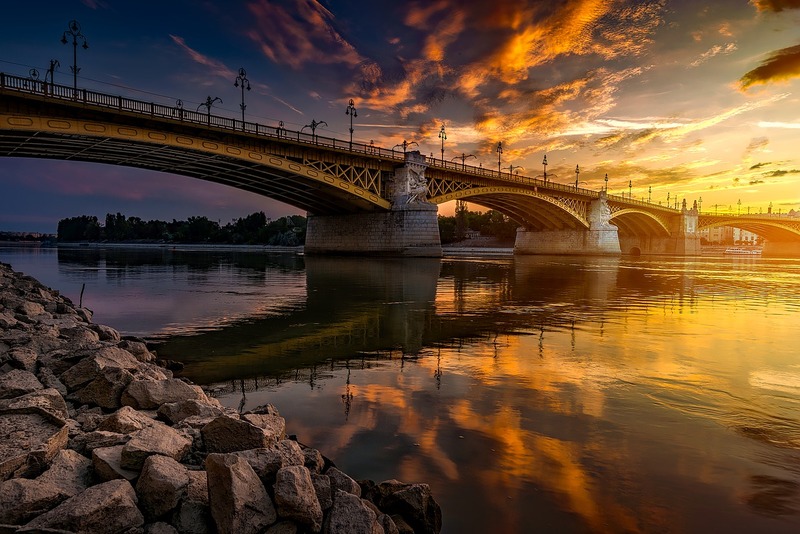 This evening the ship will take you for a night–time cruise along the Danube, passing under the city’s numerous bridges, whilst enjoying a traditional Hungarian farewell dinner, complete with folk dancing and music. After breakfast, it’s time to farewell your fellow passengers and disembark the ship for your transfer to the airport. Emerald Dawn, Emerald Sky, Emerald Star, Emerald Sun. On an Emerald Waterways river cruise, you can expect stylish and spacious ships, designed to ensure the most comfortable journey. What you wouldn’t have expected is a brand new fleet, custom-built to offer more space per guest than most other operators and to incorporate many spectacular ship innovations, unique to river cruising. Cancellation Notice. Cancellation notices must be issued to Emerald in writing during its regular office hours. Any changes to your tour departure date or name changes will be deemed a cancellation and the applicable cancellation fees will apply. Cancellation Fees. In the event of cancellation, you will be liable to pay Emerald cancellation fees calculated in accordance with the following table. Please note that in the event of cancellation you may also be obligated to pay cancellation fees to third parties including, without limitation, airlines.